Teach your class while they sit on Kids Rugs! Remember the days when we rolled out mats for nap time. Now, kids lie on insulated kids rugs to catch a wink or two. Our SoftFlex® is tightly woven to prevent wrinkles and provide durability during nap or story time. The materials provide strong floor protection and insulation against extreme heat and cold. Three different size options allow you to find a Kids Rugs that meets your needs. We did not stop at developing a highly functional Kids Rugs. Teachers will appreciate the interactive learning tools that we have integrated as patterns into the stain resistant rugs. 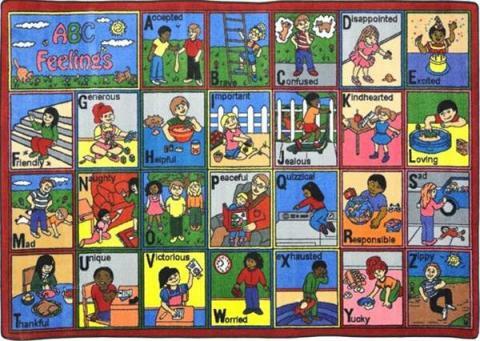 Our award-winning kids rugs improves relationships by teaching how to communicate feelings and self-awareness, two facets of child development that hinders many children in a classroom environment. 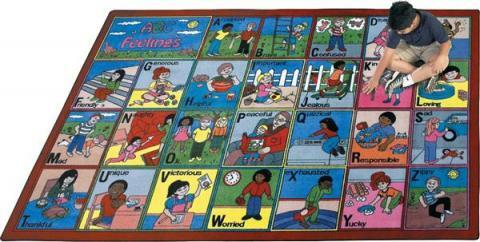 Teachers can ask questions about each pattern to help their children to enhance vocabulary skills and self-esteem. 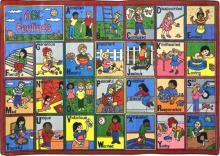 You will not find another rug that doubles as a comfortable place to sit and a teaching tool.